T/Sgt. Robert L. McConnell, son Mrs. J.E. 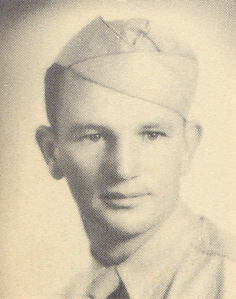 McConnell, graduated from Frederick High School; husband of the former Lois Jean Wells. Entered Air Corps in Sept, 1940, trained in Brooks Field , Kelly Field, Goodfellow Field, Amarillo, and Pyote, Texas. Awarded Good Conduct Medal, Am. defense Ribbon.